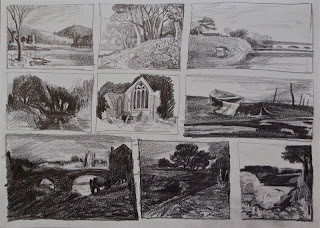 This is a page from a sketchbook and is what I was doing this afternoon. 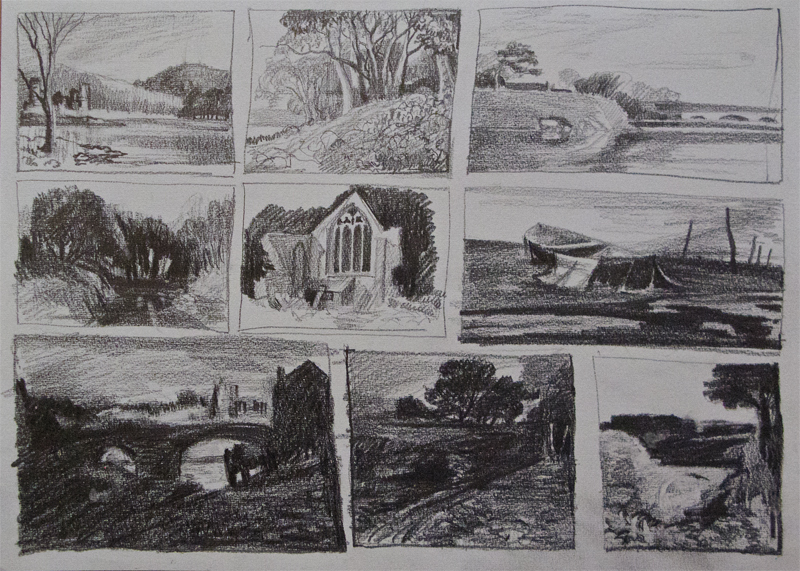 These are mostly tonal studies after some of Cotman's watercolours. He's long been a favourite of mine.